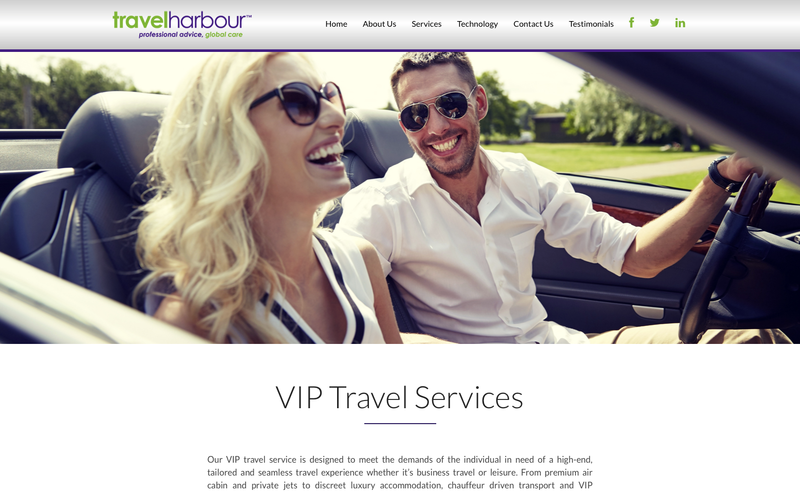 travelharbour is an established Independent Travel Management company, specialising in business travel, event management as well as VIP tours and transportation. 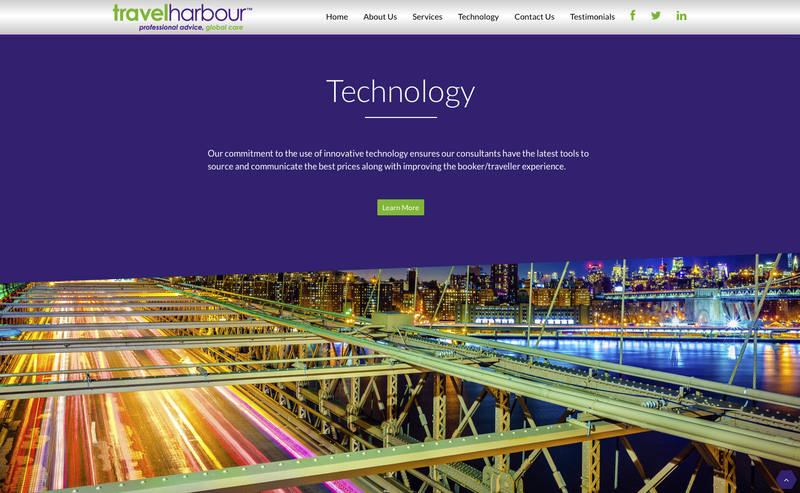 Founded in 2002, the company was looking to update its look and modernize its website whilst retaining the rich green and purple colour scheme of the brand. 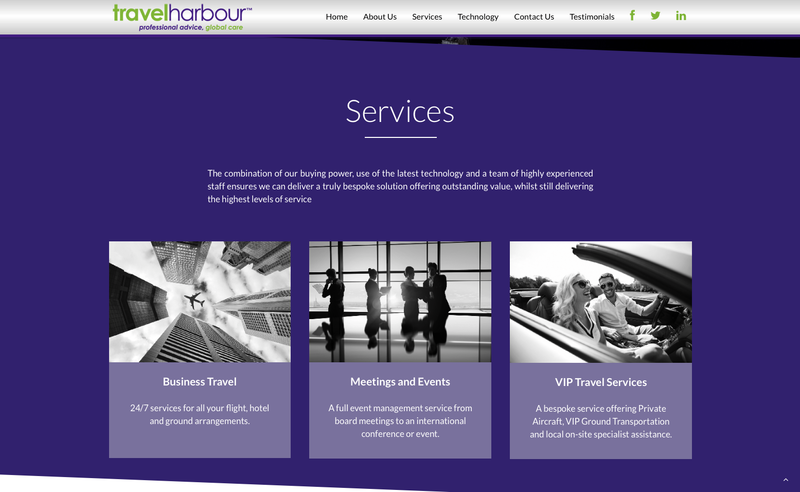 The branding was used as a basis for the design for the website. We kept the top navigation grey with the logo at one end and social icons in the green of the branding at the other. The box structure was replaced in favour of a more modern full-width design that not only looks good but functions seamlessly on mobile devices such as tablets and smartphones. 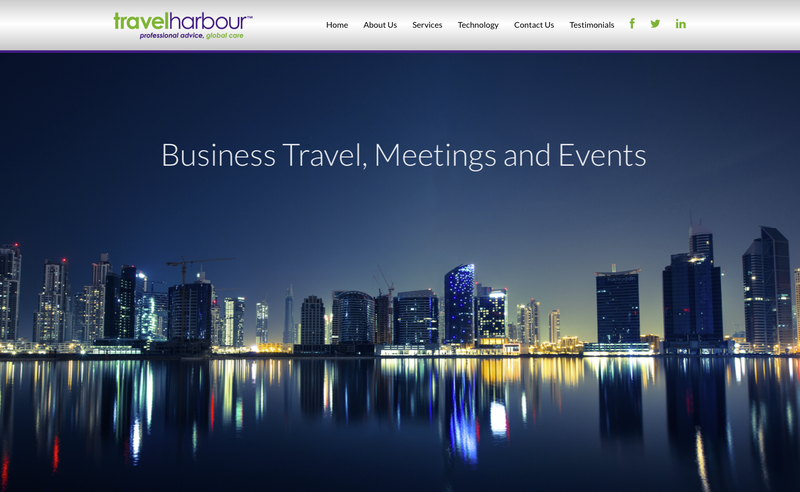 For the homepage, we used a striking photograph of the Dubai skyline at night time for the main banner to grab user’s attentions immediately with a picture that sums up travelharbour’s area of expertise: business travel. 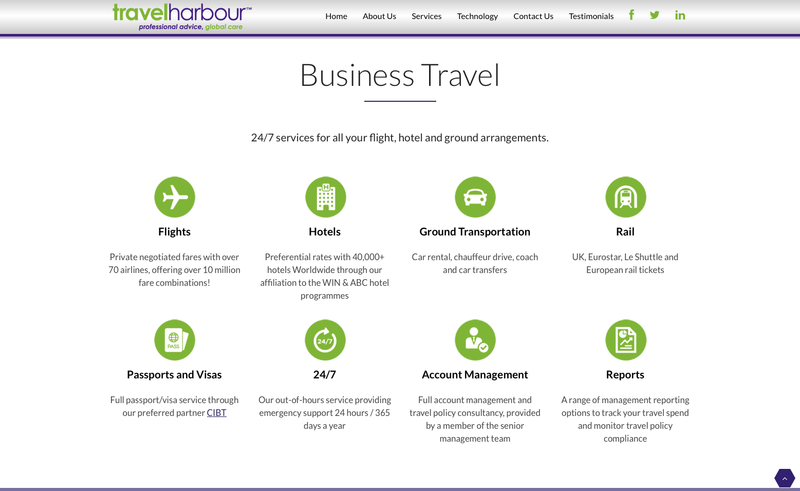 The new website also uses a scrolling parallax structure where more relevant glossy images separate the sections of copy which give an overview of the site content. Users can then choose to access more in-depth information via links in each of the sections of the content or from the top navigation. 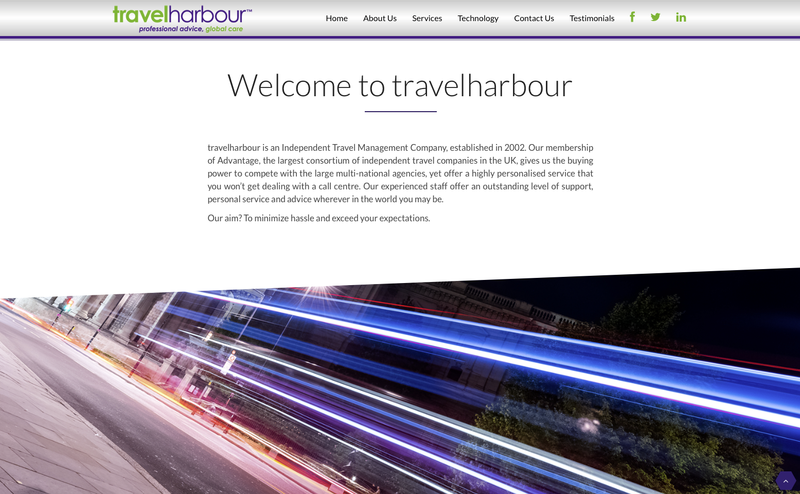 In the run-up to the site launch for travelharbour, we spent time optimising the website content to ensure better website visibility in search engines such as Google and Bing. 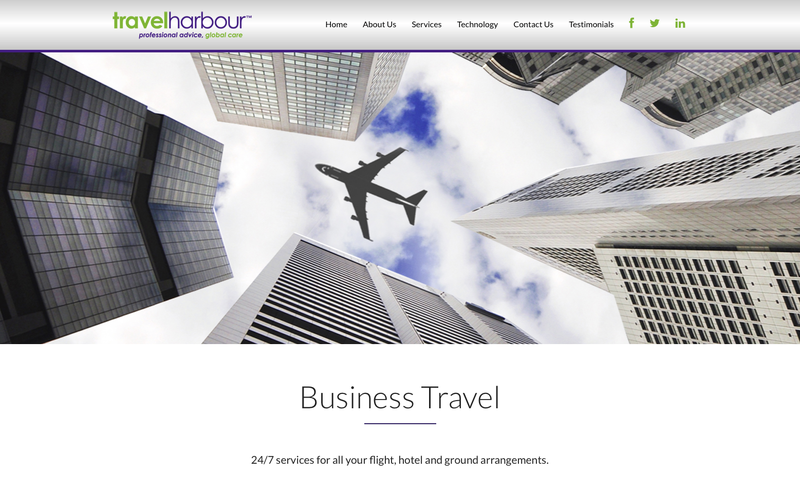 In tandem with the launch, we also updated the company’s various social channels with the new branding and a header image which linked in with the new website design.